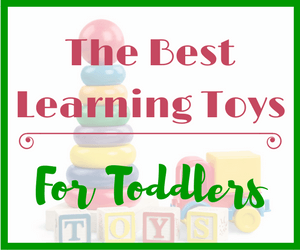 Seeme & Liz > Learning Toys (0-2 year olds) > Stuffed Animals For Toddlers – Here’s What You Might Not Know! 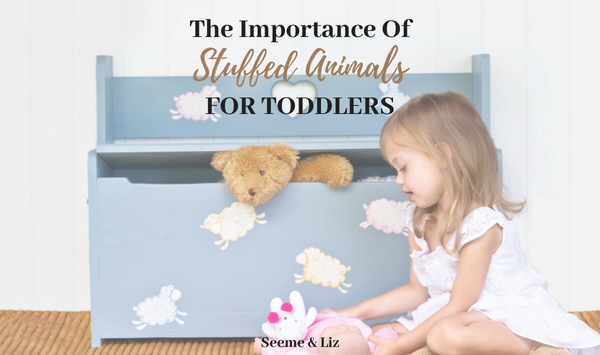 Stuffed animals for toddlers are so much more than simply a special toy. I have to start by saying that unfortunately not all children become obsessed with stuffed animals like my children have. Don’t worry, that is Ok. There are days when I wish my children weren’t so infatuated with their “stuffies” as these toys have taken on lives of their own. 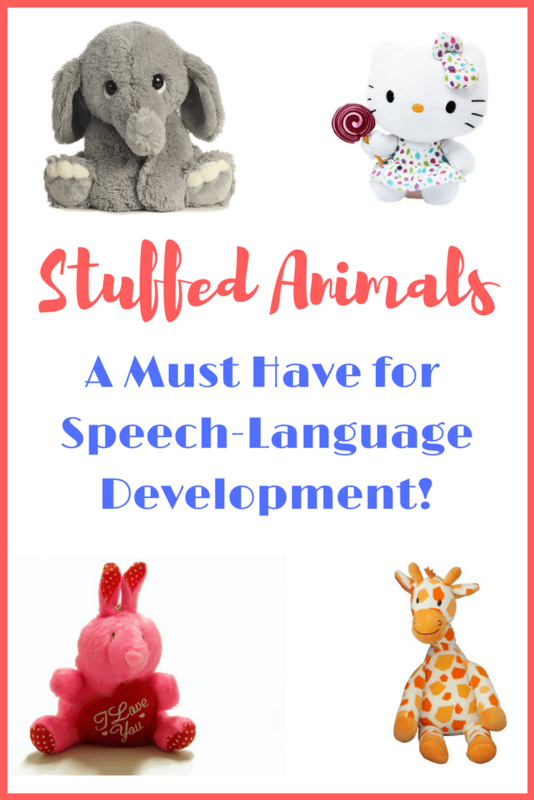 Now, if you do have a child who loves his “stuffy” you can really encourage some great pretend play which in turn promotes language development. There are so many stuffed animals for toddlers out there that you are bound to find one that your child will absolutely love! 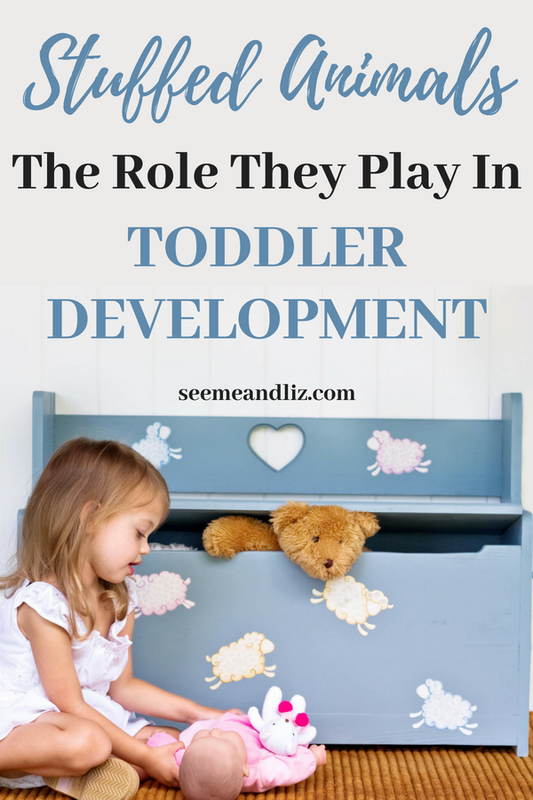 Recently I wrote about the importance of routines for infants and toddlers. Our world revolves around routines. When children start engaging in pretend play, it is on a functional level. They use objects in a way that they are meant to be used. For example, a 2 year old may pretend to feed her stuffed animal with a spoon. Take a look at this video of my daughter when she was about 26 months old. You can see that she is engaging in functional play. She has put a sleeper on her stuffy “Liz” (aka Lizzy) as well as a diaper and is going through a diaper changing routine. Her younger brother was about 4 months old at the time so she was very familiar with this routine. You can hear my husband in the background asking our daughter questions. Notice how he only asks one yes/no question (“is there anything in the diaper?”) and when he isn’t getting much out of her he asks more open ended questions to engage her more (i.e. “what’s in the diaper”, “now what are you doing with the diaper?”). This just shows how much children learn from every day routines and when you engage your child in a routine that interests them their language blossoms. My daughter is using 2-4 word phrases here which is right on track according to most ages and stages checklists. 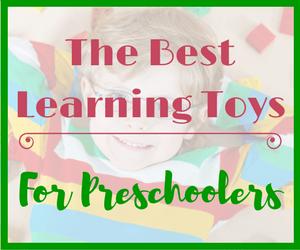 Stuffed animals are great for developing pretend play skills. 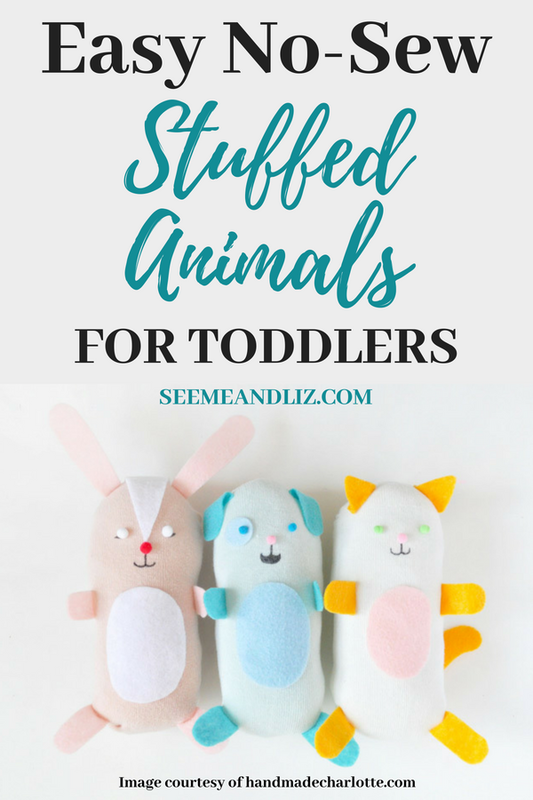 Toddlers and children can practice feeding, bathing, dressing, etc their stuffed animals. Stuffed animals are also wonderful for practicing more subtle skills such as empathy. My children often feel bad for their stuffed animals if they fall down or something “tragic” happens. As children get older they often engage in role playing scenarios with their plush toys. This is a great way to express emotions! As your child’s vocabulary grows you may hear conversations between your child and a stuffy (one sided of course). As a child plays with stuffed animals in a variety of make believe scenarios there will be many opportunities to learn new words, expand sentences, practice problem solving, etc. This type of play typically starts closer to the age of 3. In the meantime, if your child is not using many words, talk about what the plush toy is doing so that your little one is constantly hearing new words. This will also reinforce words he may already be familiar with. Children learn new vocabulary best when they can see the words being said. This is when stuffed animals come in handy! If you feel your child is not using the amount of words expected for her age, don’t panic. 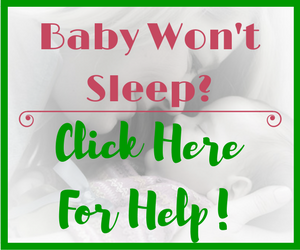 Use some of the tips on this site, especially if your child is under 18 months. There is a lot that can happen with regards to language development in the first 2 years of life. However, I urge you to contact a Speech-Language Pathologist if you have any concerns. Wait lists to see a licensed Speech-Language Pathologist can be quite long so it is better to get your child’s name on there early. If things improve you can always ask to have his name taken off. You can also look into private Speech-Language Pathologist’s if you feel that the wait list for a publicly funded one is too long. Some insurance plans cover this service (or a portion of it). Easy DIY No Sew Stuffed Animals! Aren’t these sock stuffies adorable? And you don’t even need to know how to sew in order to make them. Head over to Handmade Charlotte for all the instructions! If you have an older child it would make a fun craft as well. Most children receive many (sometimes too many) stuffed animals when they are born. Your child may gravitate to one or more of these around his 1st birthday. Just make sure that you have some accessible for him to explore. Remember to model pretend play with some of the stuffed animals in your house, if your child is not yet doing this on her own. Show your child how to “feed the puppy” or how to “dress the giraffe”. Children learn by watching and you are their best teacher! Put one of your shoes on Mr. Bunny and then say something like “uh oh, the shoe is too big” and see if your child will imitate you. If your child is under 18 months, focus more on sounds. For example, repeat “uh oh” every time Mr. Bunny does something silly. With an older child (2 years and up) focus on vocabulary words and adjectives, in this case “shoe” and “too big”. Again, remember that not every child will be at the same language level at the same age. So if your 2 year old isn’t saying many words yet, then don’t worry about the adjectives (e.g. big) just yet. Focus more on core vocabulary, such as “shoe”. Please share stories about your child and how they play with their favorite “stuffies”. I would love to hear all about them. Pretend play with stuffies definitely helps in language development of our kids. These stuffies are also a source of comfort for them when they are stressed, right? And parents really need to join their kids in their play, this is a good bonding time for both of them. 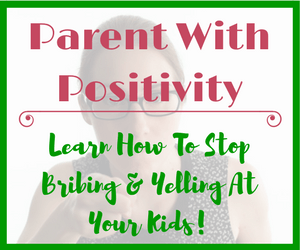 Or even just interact with your kids in their play, like what your husband was doing with your daughter. Thanks for reminding parents that language development varies from child to child and if they have concerns, they need to see a Speech-Language Pathologist. Your kids are lucky to have the care and guidance of an expert ( YOU ) . And you are so fortunate as well to be there for your kids 24/7 to see them grow and develop. Stuffed animals are great for helping children develop socially and emotionally and like you said they also serve as a source of comfort for the child! Thanks for reading the article and leaving a comment! I agree with your article on social and emotional development, Tanya. I have also done pretend play with my son and he learns very fast as we communicate a lot while playing with the stuffed toys together. It’s a great way to spend family time together other than screen time. He also learns role playing like being doctor, daddy, driver, astronaut, chef, hairdresser, etc. A fun way to learn. 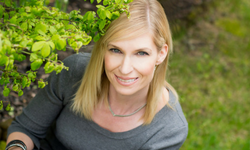 Great article, Tanya! Social-emotional development and self regulation are unfortunately skills that many children in Kindergarten are lacking these days. And this is not their own fault, it is that the opportunities to develop these skills are disappearing. But they do not have to. 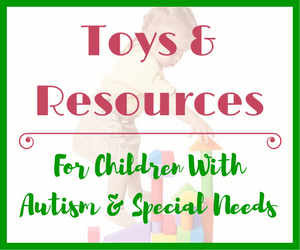 There are many opportunities for children to learn these skills through play and playing with stuffed animals is one of these ways! I’m happy to hear that you enjoyed the article! I never realized that stuffed animals can actually help children learn about empathy and explore emotions. Thanks for pointing that out! I can definitely take more advantage of the stuffed animals to teach my kids how to express and talk about emotions. But I am always concerned about the cleanness of these stuffed animals and not sure how to choose a good quality one. I wouldn’t worry too much about the quality of a stuffed animal. Most are made in very similar ways. That being said, I do still regularly was my children’s stuffed animals that get played with the most. Or if something spilled on one of them! What a great example here, Tanya. Lovely video of your daughter and this illustrates the message perfectly. I think it’s all too easy in this day and age to let your child sit in front of the TV, or hand them an iPad for company, and the importance of stimulation like this is often overlooked. Thanks for the feedback Claire! You are right about screen time. Once children have established language and are meeting criteria for their age group then a bit of screen time won’t hurt. But if a child is quite delayed, sitting him in front of the TV will not do any good.